Good. Size: 25 to 30 cm tall, Quarto, (4to); 433 pages. 1st class post to the UK, Airmail worldwide. Robust packaging. Shipping a little high. Excellent book. 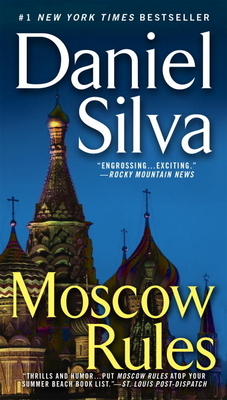 Daniel Silva has become my favorite author. I love all of Daniel Silva's books, especially the Gabriel Allon series. This was not my favorite as I feel a formula forming - no surprises. What I did 'enjoy' was the look at the inside of a Russia that has concerned me for some time. I always feel Silva knows more than he is able to tell, or that he is telling it and hiding it in fiction form. I look forward to his next venture. Maybe it's time for Silva to put Allon aside for a time, let him rest, while Silva tests new waters. Once again Daniel Silva takes you to the edge of your seat with another adventure of Gabriel Allon. The book begins in Umbria, Italy where the great paint restorer is working for the Pope and spending time with his new wife on their honeymoon. It isn't long before he gets caught up in the intrigue and espionage of Russian plots and gun trafficing. You will travel all over Europe with this master spy and his colleagues.